The stunning new record from the Hamburg producer that’s getting everyone all hot under the collar. 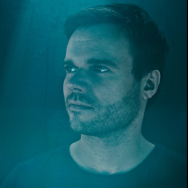 Tensnake first burst onto the scene with the explosive, Technicolor eruption that was ‘Coma Cat’ a few years back; a record that was as inescapable as it was irrepressible. Since that point he’s given us a few teasers of what we know he’s capable of, but has been relatively quiet on the release front… until now. ‘Mainline’ is the latest record from Tensnake and once again bears all the marks of an uplifting club classic in the making. With his trademark, old-school production aesthetic and featuring the vocals of Syron – last seen appearing on Rudimnental’s underground hit ‘Spoon’ – ‘Mainline’ is the realisation of many months hard work in the studio and further proof that Tensnake is one of the most exciting producers of a generation. Check out the teaser clip now and stay tuned for further news about its forthcoming release on Defected Records.